AGE REQUIREMENT: Credit card holders, minimum age is 21 years, for cash renters minimum age is 23 years. 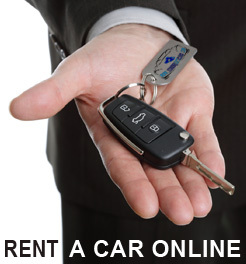 MINIMUM CAR RENTAL: One day (24 hours). After the passage of 5 hours from the 24hour rental day, the renter will be charged a further full day. CAR INSURANCE: All authorized drivers of Billy’s vehicles are covered against liability to third parties for death injury or damage to property. COLLISION DAMAGE WAIVER CDW: The renters’ liability for damage to the Auto Moto Lesvos vehicle as mentioned above, can be reduced to €700, by paying €5 per day for groups A, B and C and €10 per day for the other groups respectively. COLLISION DAMAGE WAIVER SCDW: The renters’ liability for damage to the Auto Moto Lesvos vehicle as mentioned above, can be reduced to €300, by paying €10 per day for groups A, B and C and €15 per day for the other groups respectively. THEFT PROTECTION (TP): The renter can also require the Theft protection service which has a daily charge of: €2 for groups A, B, and C and €5 for the other groups. AVAILABILITY: Reservations do not correspond to a specific car model but to any car model that belongs to the category booked. © Economy Cars Lesbos, Economy Cars Lesvos, Lesvos Car Rental , Lesvos Rent a car , Rent a Car in Lesvos , Car Rental in Lesvos (Lesbos) Greece Rent a car in Lesvos or Car hire in Lesvos Ενοικιάσεις αυτοκινήτων στη Μυτιλήνη Ενοικιάσεις αυτοκινήτων στη Λέσβο , Yunanistan Lesvos Lesvos araba veya Midilli araç kiralama Kiralama Lesvos a Car ve Araç Kiralama 2019. Powered by Target Point.